A gorgeous no bake Mini Egg Cheesecake. 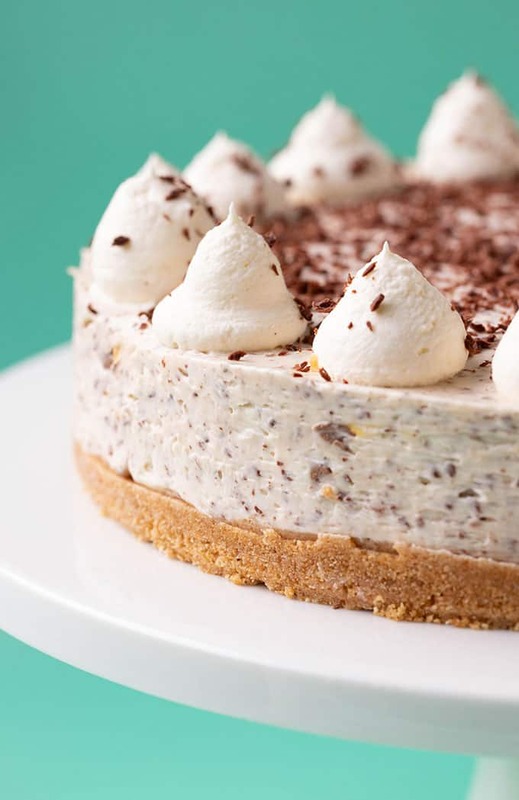 This creamy cheesecake is filled to the brim with crushed Mini Egg Easter eggs and grated chocolate and topped with whipped cream – perfect for Easter. And the Easter treats are starting to roll out of the Sweetest Menu kitchen, starting with this gorgeous no bake Mini Egg Cheesecake. 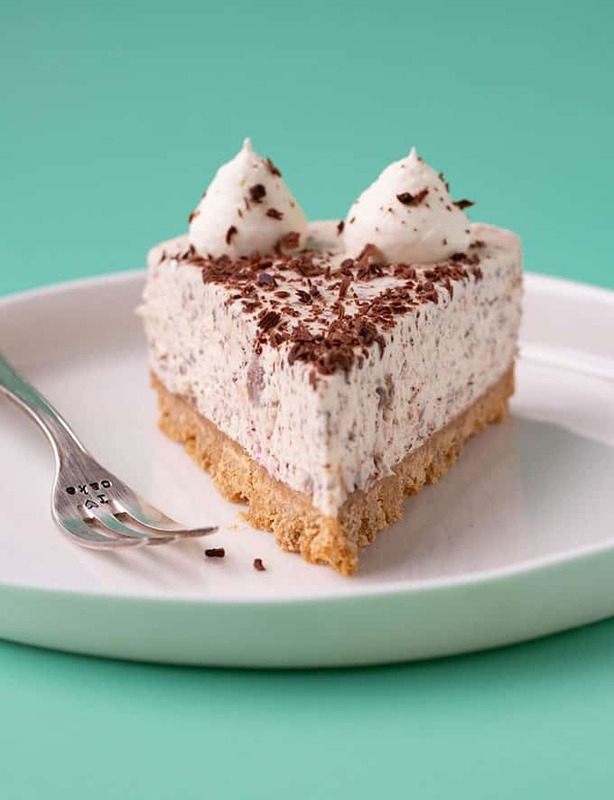 Boasting a light and fluffy filling made with cream cheese and whipped cream and loads of crushed Mini Eggs AND grated chocolate, all set on a crumbly cookie crust – it’s the ultimate Easter dessert. When I was brainstorming new Easter recipes to share this year, I realised there was a serious lack of Mini Egg recipes on my blog. I’ve done brownies with Creme Eggs and chocolate cake with Speckled Eggs, but Mini Eggs were no where to be seen. So I’ve since remedied that with a specular no bake cheesecake made completely from scratch. 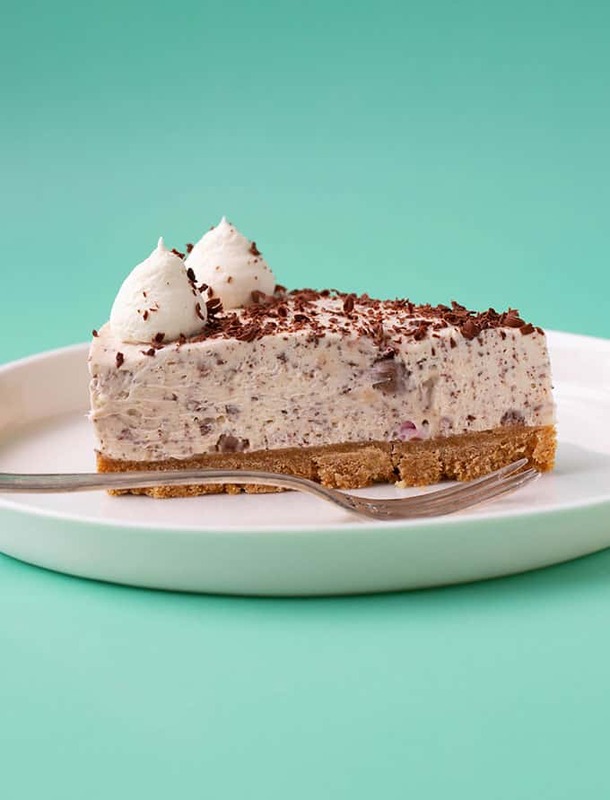 One with a buttery cookie crust and a light-as-air cheesecake filling AND plenty of Mini Egg Easter Eggs. You. Are. Welcome. You will love this Mini Egg Cheesecake for so many reasons. It’s super easy to make. 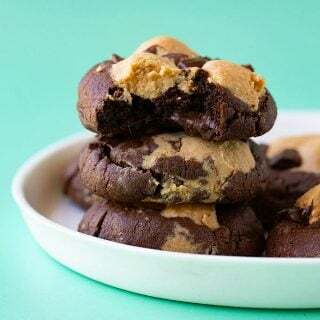 You don’t have to bake it, so there’s no need to even turn the oven on. And it comes together in a jiffy. It’s beautiful. 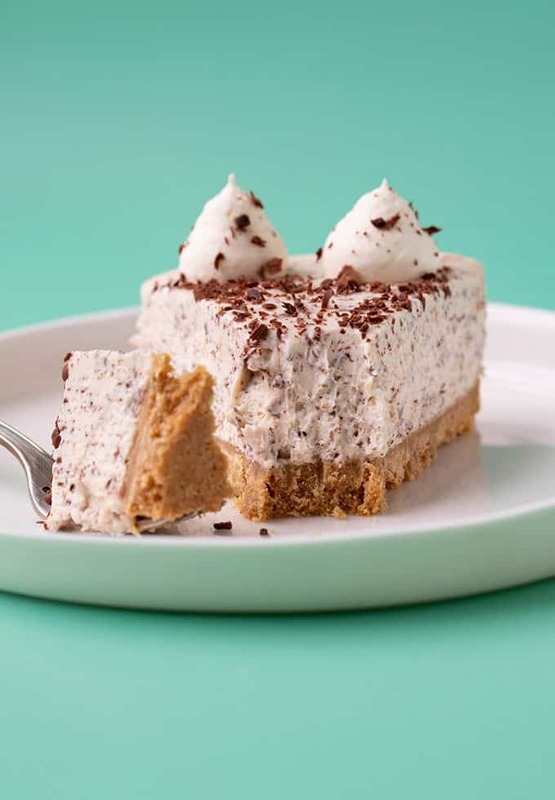 With a speckled filling and clouds of whipped cream, it looks amazing and will be sure to wow your friends and family this Easter. It tastes amazing. 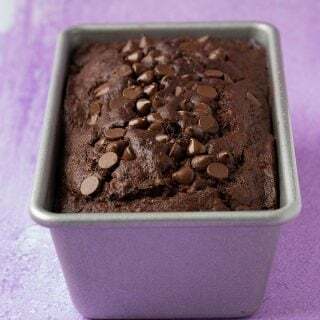 Creamy, chocolate-y, with a crumbly crust – you can’t go wrong. You can make it ahead of time. And we all know that make ahead desserts are the bomb when it comes to entertaining. So let’s break it down. I’ve used store bought cookies for the crust. I use Digestive Biscuits, but any plain sweet biscuit or cookie will do – those in the USA can use graham crackers. 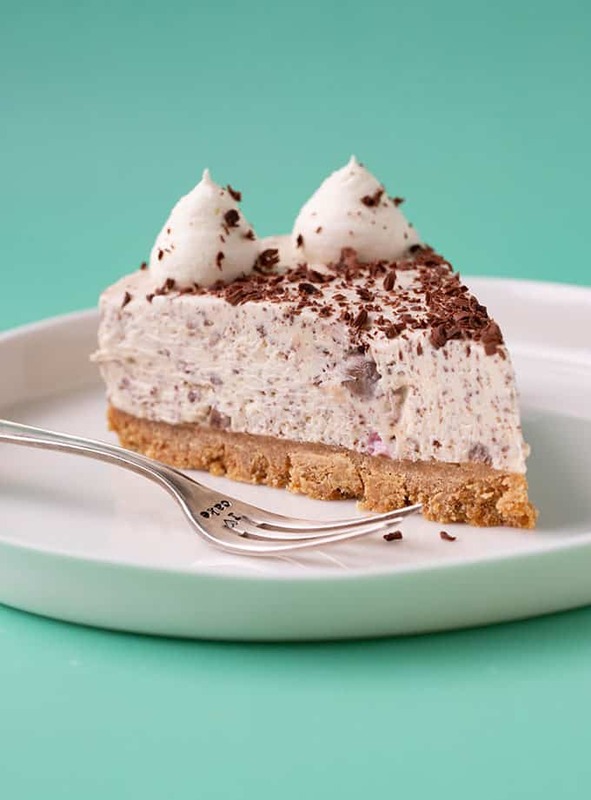 Mixed with butter, they give a sweet crunchy crust that blends perfectly with the cheesecake itself. Next, that enviable cheesecake filling. 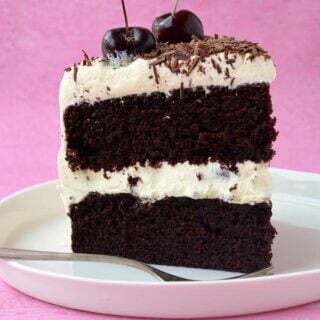 Made with cream cheese, a little sugar and vanilla, it’s then the cream that gives it body, stability and deliciousness. The final touch? Oodles of chopped Mini Egg Easter eggs and grated chocolate. It’s light, sweet and subtle. 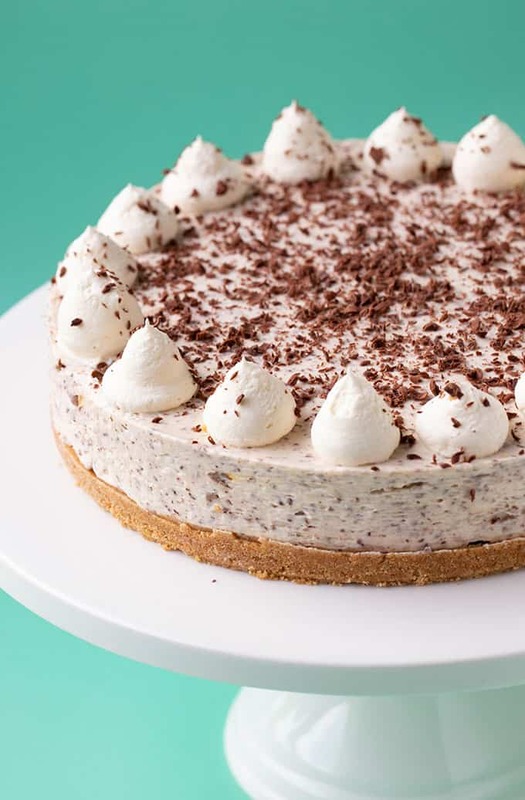 This no bake cheesecake is super easy to make and does not contain any gelatine. Recipes often use gelatine to make sure the cheesecake sets, but I don’t like using it in my cheesecakes. While it offers stability, it can also give cheesecakes a weird jelly-like texture that I don’t like. Instead, my no bake cheesecake using the stability of cream cheese and whipped cream to hold its shape. And trust me, if you whip your cream enough, it will absolutely hold its shape – no problem. Once you make the crust, all you need is an electric mixer to combine all the cheesecake ingredients. It’s quick and easy to put together. 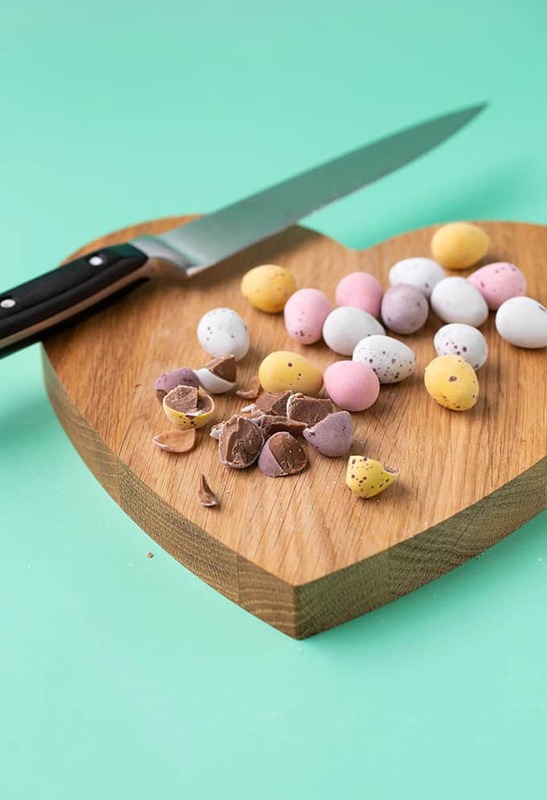 The only thing that’s a little bit of a labour of love is chopping those Mini Eggs – those things are slippery! 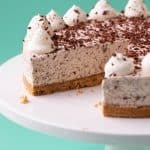 How long does it take no bake cheesecake to set? 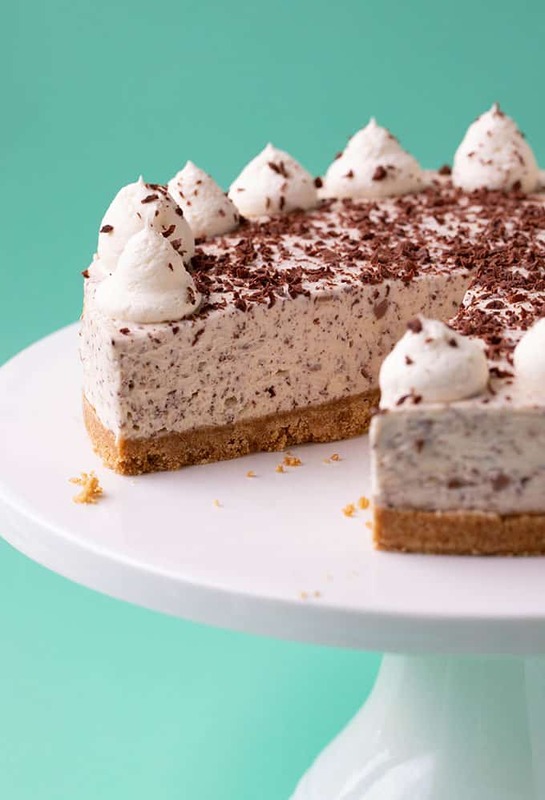 You do need to give no bake cheesecake plenty of time to set. My recommendation is around 6 hours. I generally make my no bake cheesecakes the day before serving. I then leave them in the fridge to set overnight, before decorating and serving on the day. If you give your cheesecake 6-8 hours to set, you shouldn’t have any problem with it setting. 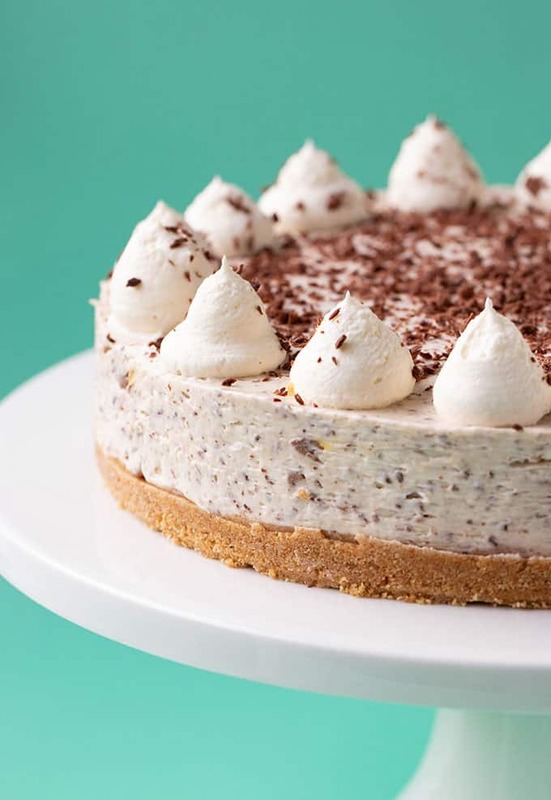 Keep your cheesecake covered in the fridge for up to 5 days. Hi Jess. This looks great. I’m not sure what mini eggs are. Are they specked with a hard shell or just solid chocolate shaped like an egg? I’d like to make this for Easter as my hubby loves cream pie.